My grandfather Frank Severin Gustaf Erickson (laying on ground, smoking a pipe), while he was serving with the American Expeditionary Force in the 308th Infantry - 77th Division - Company H. Here his company was taking a break somewhere in the Argonne Forest on the Western Front in France - October 1918. Frank began his military training at Camp Lewis, near Tacoma, Washington. It was the same Camp where his brother Ernest Julius trained with the 361st Infantry just months before. During his time at Camp Lewis, Frank served in Company H of the 160th Infantry and the 40th Division. By the Summer of 1918, Frank, along with Company H headed east. They would end up finishing their training at Camp Upton in Yaphank (Long Island) in Suffolk County, New York. By early August they were at Camp Mills, the embarkation center for troops heading to Europe. The Division shipped out to France on August 8th, out of the Brooklyn Harbor bound for Liverpool, England. Frank was in France in mid August and the Meuse Argonne Offensive was about to be under way. When October 8th slid by with all the intensity and violence no man could truly prepare for, Frank was now a member of an elite group. He would forever be remembered as a surviving member of what is referred to as "The Lost Battalion." His experiences as a runner for Company H's commander Lt. William J. Cullen in the Argonne Forest were both intense and brutal. He would be running messages to the 77th Commander, Major Charles Whittlesey, this one in particular is worthy of mentioning. This written documentation of Frank's exploits on October 3rd, 1918 puts into focus how he performed during the bleak days in the Argonne. I enjoy how Frank enters into the chaos of the moment. Still, more men were continuing to pour into the wounded area when Private Frank G. S. Erickson, Lt. Cullen's primer runner, came tearing up with a salute and message from Lt. Cullen. The Boche (Germans) attacked on the left flank and were driven off by our rifle fire. They attacked me in front with trench mortars and caused a number of causalities. Lt. Griffin is injured. Please send a Machine Gun to help out on this flank and some more men, also one officer or good non-com. The Lost Battalion, the name given to the nine companies of the United States 77th Division of the American Expeditionary Force, consisted of 554 men that were surrounded by German forces in the Argonne Forest in France between October 2nd through the 8th of 1918. Roughly 197 were killed in battle and approximately 150 went missing in action and or were taken prisoner. Only 194 remaining men walked out alive. The Meuse-Argonne Offensive, also known as the Battle of the Argonne Forest, was a major part of the final Allied offensive of World War I that stretched along the entire Western Front. It was fought from September 26, 1918, until the Armistice on November 11th, 1918, a total of 47 days. 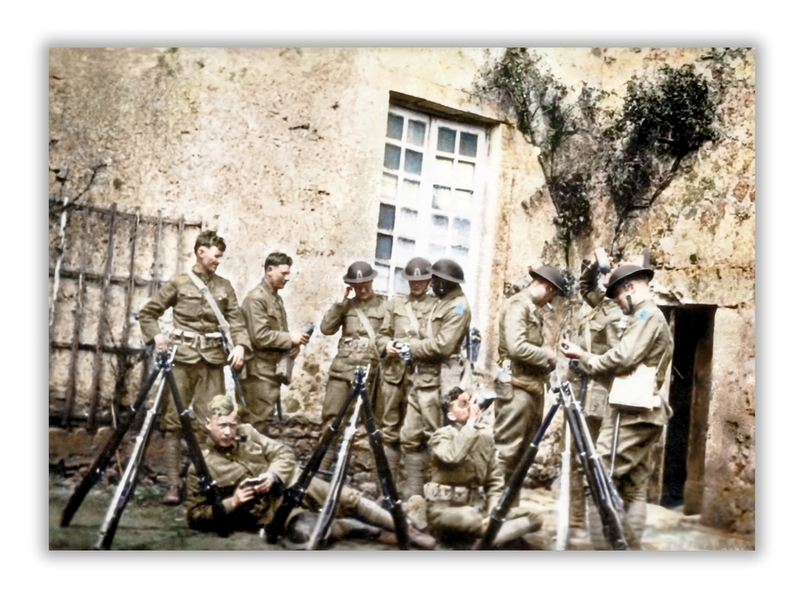 The Meuse-Argonne Offensive was the largest in United States military history, involving 1.2 million American soldiers, and was one of a series of Allied attacks known as the Hundred Days Offensive, which brought the war to an end. The battle cost 28,000 German lives and 26,277 American lives, making it the largest and bloodiest operation of World War I for the American Expeditionary Force (AEF), which was commanded by General John J. Pershing.